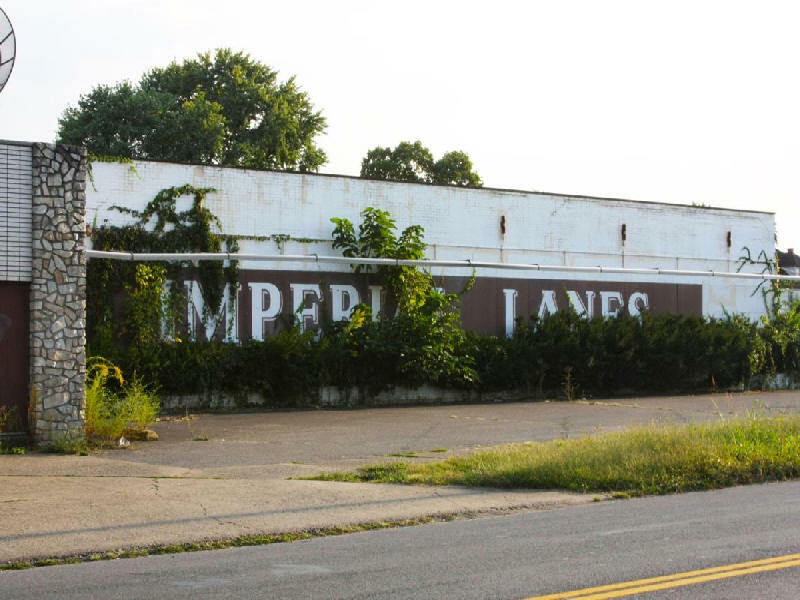 Imperial Lanes closed in 2005 and the building sat vacant for years. offered lots for entertainment-minded Tri-State residents to do. The Keith-Albee was showing the Jerry Lewis film "The Nutty Professor,"
while the Palace was screening "Bye Bye Birdie." Starlite. And Club Roll-A-Rama was welcoming skating fans. new Imperial Lanes, a modern 24-lane bowling center. and pro shop, with parking for more than 200 cars. taking over at Imperial Lanes. for years, becoming a neighborhood eyesore. and build 550 to 600 storage units. City council narrowly passed the zoning change needed for the project. neighborhood residents, vetoed the decision. into a youth center and skate park. demolished the building and built a Family Dollar store.